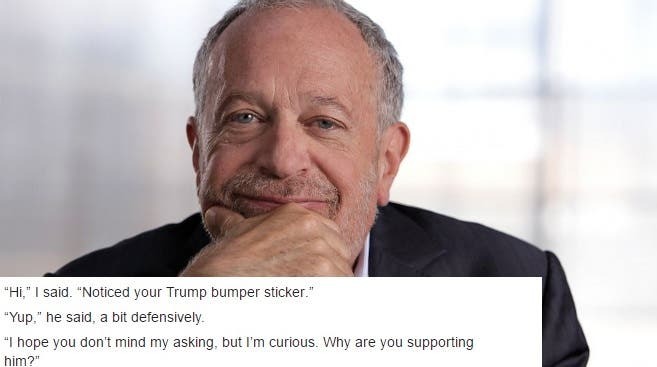 Famed economist and former labor secretary Robert Reich posted an interaction he recently had with a Trump supporter that demonstrates just how deeply this ridiculous misconception that Donald Trump is a “good businessman” has sunk into the public consciousness. Businessmen only care about one thing – their profits, and increasing those profits. A nation-state is not a business, nor should it be run like one. The leader of a nation-state must care for the well-being of his people and balancing complex international relationships with other nation-states, concerns that don’t have anything to do with the single-minded obsession with profit. 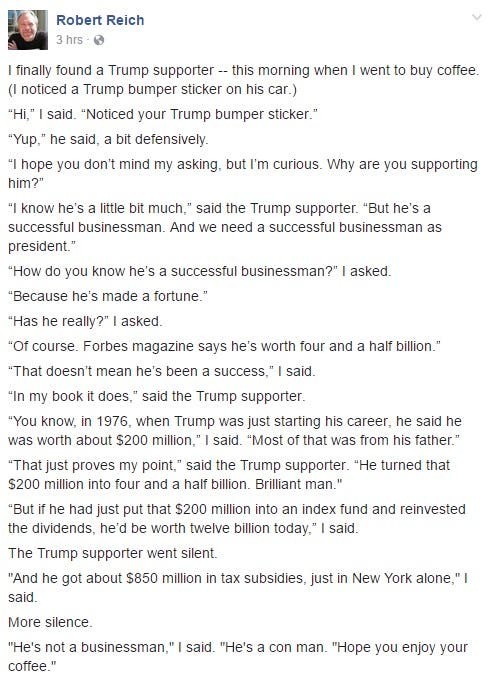 And of course, Trump is not a good businessman. He started out with a “small loan” of just a million dollars after being handed all the opportunities a straight white male needs to make it in America. He then lied, cheated and extorted his way to the top, and still managed to rack up four bankruptcies and over 3500 lawsuits. 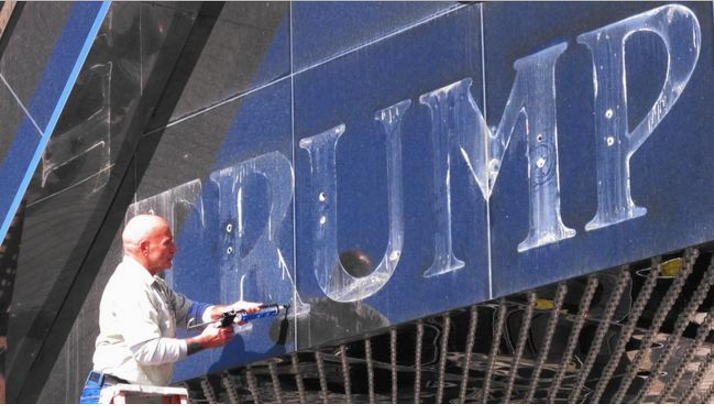 He is nothing but a con-man, and he’s about to run our country into the ground just like he’s done to his businesses.